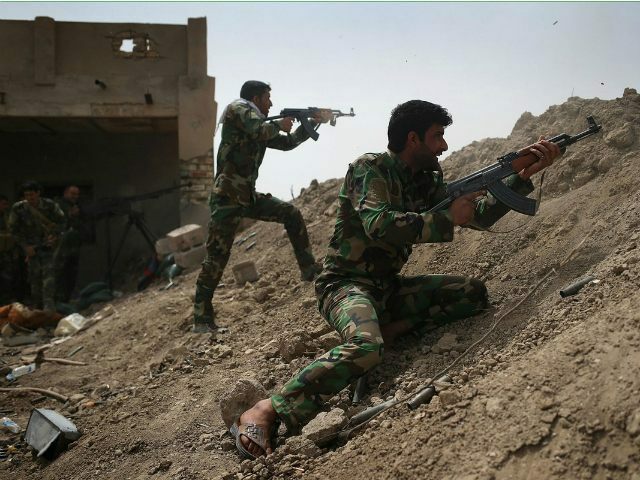 Iraq’s parliament on Saturday voted overwhelmingly to allow Iran-backed Shia militias to take part in the military operation to recapture Mosul from the so-called Islamic State (IS or ISIS or ISIL or Daesh). The vote was apparently 208 to zero. That is because all the Sunni lawmakers boycotted the vote in protest, while all the Shia lawmakers voted overwhelmingly in favor. The parliament has 328 seats. For this reason, Turkey has predicted a sectarian war if Shia militias are part of the force sent to liberate Mosul, and has demanded that the Iraqi army alone liberate Mosul, a condition to which Iraq has previously agreed. But now Iraq has apparently reneged on that commitment. On the way there we saw that Shia militias, not the Iraqi army, were manning checkpoints in areas taken back from the IS militants. The militias have a controversial history. Some have been accused in the past of committing atrocities against Sunni Muslims. Now they’re an integral part of the offensive on Mosul, which is a majority Sunni Muslim city – although they have been told not to enter the city. Also taking part in the offensive are Kurdish troops, the Peshmerga, who’ve also agreed to stay out of Mosul to avoid inflaming ethnic tensions. And then there are Christian militias and some Sunni tribesmen. While this complex mix of vested interests is currently bonded by the common goal of destroying IS in Iraq, it could fracture once that goal is achieved. For now though the focus remains on regaining the momentum of the offensive as elite troops try to push forward towards the center of Mosul. It is heavy going – the IS leadership has had two years to prepare for this battle. And it’s widely believed to have former Iraqi army and intelligence officers in its ranks, with the skills and knowledge to exploit the advantage of defending a city of narrow streets and with as many as a million people still living there. So far they’ve been using a stream of suicide bombers along with well-trained snipers to pin down the Iraqi special forces pushing forward street by street. The troops are taking a lot of casualties and there are reports they don’t have the back-up they need from units of the regular army which have not yet moved inside the city. It was never going to be easy to dislodge Islamic State from Mosul, but unless the militants suddenly collapse or cut and run, it looks like it is going to be a long, costly battle. Iraq’s government has been bragging that the Iraqi army is going to strike a blow that will defeat ISIS in Mosul very quickly. Galpin’s point was that Iraq’s government is wrong, and also that nobody knows what’s going to happen, except that it will take a long time. This is an interesting observation, because it illustrates what an early and confusing stage the Mideast war is at, before it is completely clear who is fighting whom. When you think of WWII, you think of huge armies and navies from Germany, Japan, Russia, Britain, the US, and so forth. But the Mideast wars haven’t yet reached that state. You have small tribes and militias fighting each other in what might be called “mini-wars” – whether in Syria, Iraq, Yemen or Libya. National governments are trying their best to stay out of these mini-wars, except to provide weapons or money. Iran and Saudi Arabia are on opposite sides of wars in Syria, Iraq and Yemen, but one cannot at this time say that Iran and Saudi Arabia are at war. In this generational Crisis era, that situation cannot last forever. New generations of nationalistic, xenophobic young men are growing up in tribes and villages all over the Mideast. They are fighting each other in these mini-wars, but the number and ferocity of the mini-wars is growing. At some point, the Saudis will do something that the Iranians believe requires retaliation, or vice-versa, or maybe it will start with Pakistan versus India, or China versus Vietnam. So what’s going to happen in Mosul? 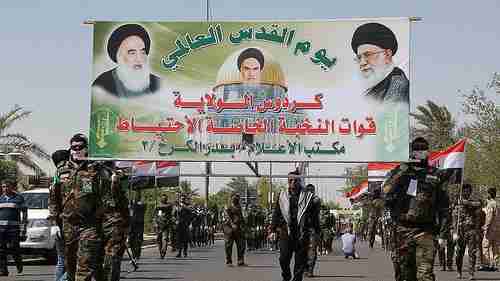 If the Shia militias enter Mosul, will they liberate the Sunni residents or will they commit atrocities again, as they have in the past? Will Turkey decide to intervene to protect its interests in Mosul and protect the Turkmen citizens? Will that draw in more Iranian forces? The fact is that nobody has a clue what is going to happen. This is an “organic” situation where you have lots of tribal and ethnic groups. There are commanders directing each of the small groups, but there’s nobody running the whole show. Nobody knows what’s going to happen, because all these groups are increasingly nationalistic, and even they don’t know what they’re going to do.